Many old homes need to have their bathrooms updated. Whether it’s a master bathroom connected to a bedroom or a powder room on the first level, a bathroom upgrade makes the home more enjoyable and marketable. Taking on a project like this can be daunting with the many options and price points of bathroom accessories. Design Builders has created a working relationship with the most reputable local tile, granite, and plumbing vendors with showrooms to help make the design process methodical and easy. 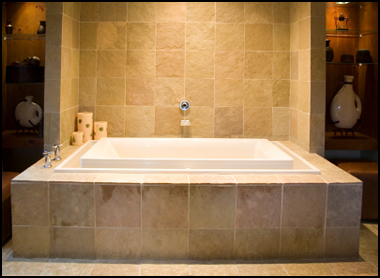 When planning the bathroom, we establish first and foremost what the overall goal is with the project. With the goal in mind we can address all the needs and wants to create a beautiful project at an appropriate budget. For examples of our stellar bathrooms, please contact us for images or check out our Flickr picture galleries.